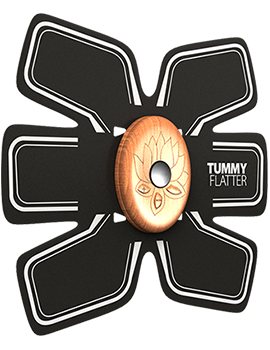 Tummy Flatter is a six-wing wearable device that gives you a flat tummy and an overall perfect shape. 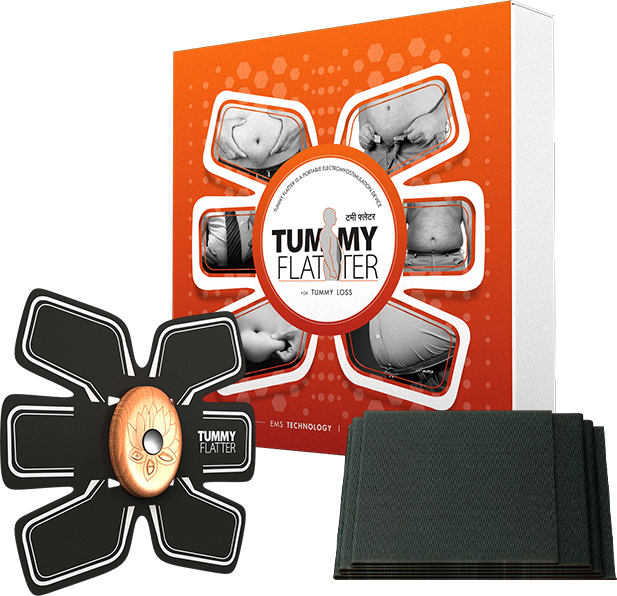 Tummy Flatter is a six-wing wearable device that gives you a flat tummy and an overall perfect shape. 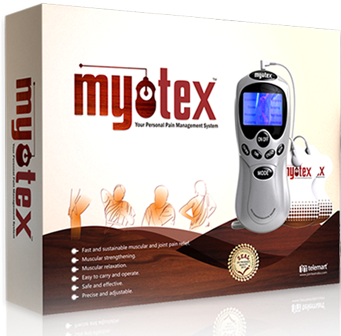 It is a safe, wireless electronic device for shedding extra tummy fat, regardless of age. It promotes muscle contraction by operating at varying intensities. 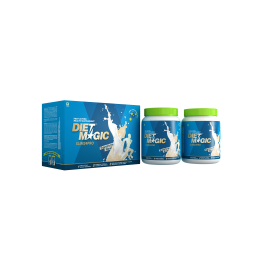 Wear it under your clothes and embark on your successful weight loss journey. This portable electronic gear can be used anytime & anywhere. Tummy Flatter is very simple to use. All you need to do is take out the sticky pads and place the machine on stomach. Press the center button to put on the device. 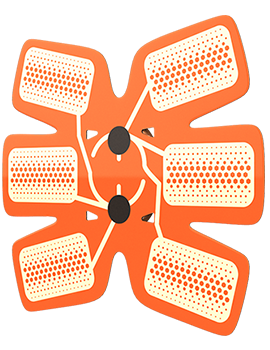 You can adjust the intensity of electric stimulation. It is an effective fat loss course of 30 days. Use it 3 times a day, for 2 minutes each!